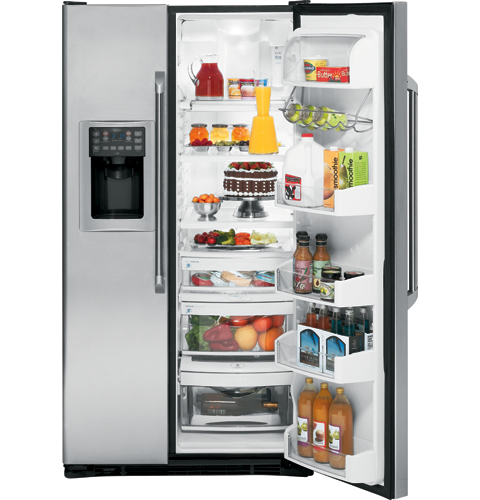 1877appliance specializes in refrigerator repair, and we can fix most brands and models of refrigerators including Maytag, Sub-Zero, Amana, Kenmore, General Electric, Whirlpool, Frigidaire, Dacor, Electrolux, Jenn-Air, Samsung, KitchenAid, Magic Chef, and more. Call 1-877-277-5426 now and save 10% on fast, reliable, professional refrigerator repair. Proper Maintenance and care is essential in keeping your refrigerator running properly, and you can save yourself expensive refrigerator repair fees by following these simple preventative measures. If the water is dripping inside your refrigerator, if the refrigerator is cooling is poor, if the refrigerator is making a strange noise, or if you have any other issues that require a professional, call 1877appliance. Attempting to repair a refrigerator without proper training and safety procedures can be dangerous. Refrigerators should be repaired by a trained professional who has the knowledge and experience to safely fix your appliance.